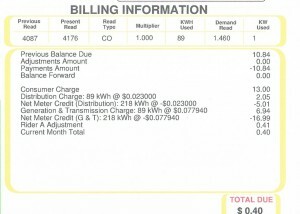 DIY Solar LOW electric bill! 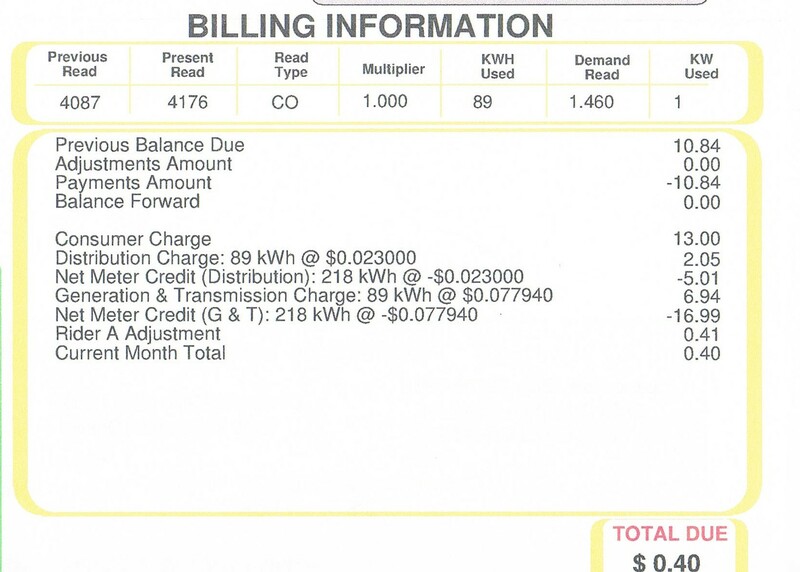 DIY Solar results in almost ZERO electric bill for the month! Just a quick post. I’ve mentioned my little house in the country many times and I finally found the energy hog! It was my septic aerator pump. It’s a 3/4 horse air pump, and it was running far too often. I changed the timer settings and cut my biggest energy user by 70%. I added panel #13, and I think I’ve almost reached NET ZERO energy for this little house! Nothing makes me happier than seeing a ZERO or near ZERO electric bill. Keep in mind, the solar also covers the fixed portion of the bill that is NOT electric usage. It renews my belief that doing this is the Right thing, right now. Solar has never been more affordable, so if you plan on staying in your home for the next 20 years, CALL ME and I’ll show you how to do DIY SOLAR in a quick, effective and above all AFFORDABLE manner! It just makes good sense.